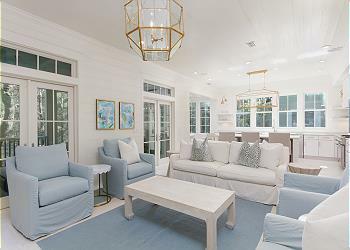 No matter what you're searching for in a Destin or 30A vacation rental, you'll find it with 360 Blue. 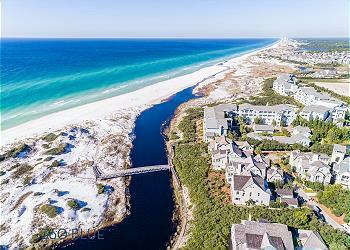 We manage the most exceptional luxury rentals located along the beautiful beaches of South Walton from Destin to Rosemary Beach and everywhere in between. Whether you are looking for a cozy condo for a weekend getaway or a beachfront rental large enough for the whole family, we will deliver. 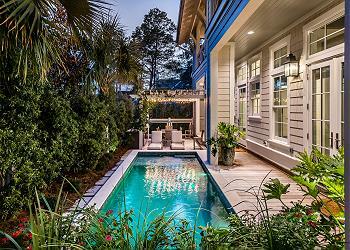 This architecturally-inspired custom home, at 5,000 square feet, is easily capable of housing two families for a perfect, private Watercolor vacation. Sunny Lane is steps away from Camp WaterColor and is set in a perfect location for a family to create wonderful WaterColor memories. Welcome to "Ken's Cottage", a treasured family gathering spot. Enjoy morning coffee on the quiet front porch or relax in the fabulous rear arbor, which is great for grilling and conversation in the evenings. 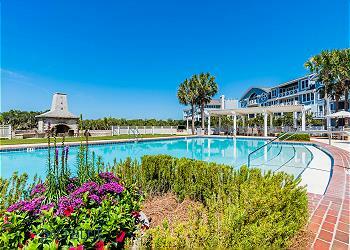 Escape to 95 Spartina Circle for your next beach vacation. This spacious home offers 5 bedrooms, 4.5 bathrooms and has accommodations for 12. Guests will greatly enjoy the close proximity to Camp WaterColor as well as 5 bikes to explore the area! This home was made for family vacations! 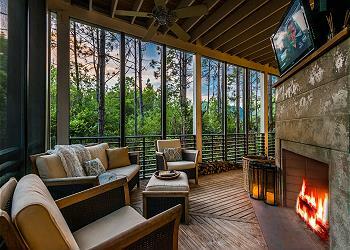 The open space inside and out encourages everyone being together - what vacation is all about! Browse photos and video of this wonderful home and book online, today! 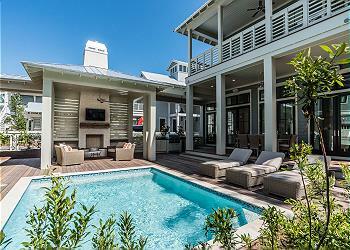 "Seas the Day" is a gorgeous 7 bedroom/7.5 bath Grayton Beach vacation rental right next to the beach and Red Bar! 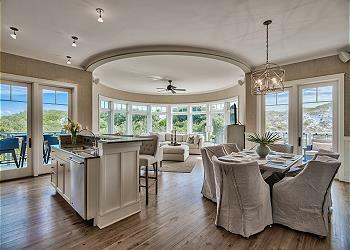 There is plenty of space for everyone - One of the largest rental homes in Grayton! 81 Needlerush is located in the sought after Lake District in WaterColor, with its lush greenery and old Florida charm, this location will definitely give you that peaceful and relaxing vacation! 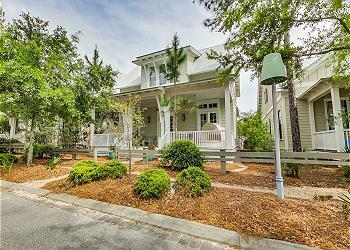 This home has a central location in the Camp District, walkable to Seaside and the beach. 321C at the Crossings is a phenomenal condo with heart-stopping gulf views from almost every room, making this an unforgettable vacation location! 415 West Lake Forest Drive is a superb vacation rental featuring 4 bedrooms, 4.5 bathrooms and space for 10. This Camp District home offers fabulous screened porches, an outdoor fireplace and flat screen TV and spectacular modern decor! This extraordinary 7 bedroom/6 bath home in Phase I boasts a private theater, 6 masters with king beds, large dining table, a great fire place, and huge porches throughout, including a sleeping porch with two double bed swings. 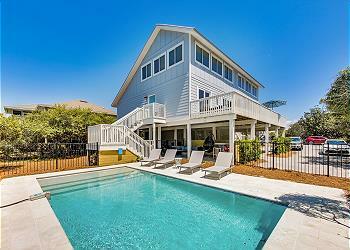 Spend your next vacation at 'Sealah," a 4 bedroom Gulf front home in Seacrest Beach. This luxurious abode offers a private pool and accommodations for 8 guests. 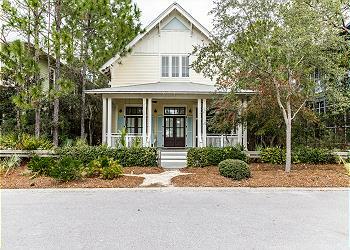 This 4 bedroom, 4 1/2 bath watercolor home is a perfect location for guests that love the lake and the beach! Explore Seaside's boutiques and dining options when you stay at "Sisters Three by the Sea." 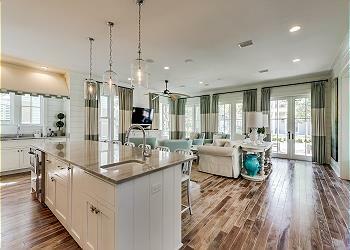 This Seaside home is 1,650 sq feet and offers fabulous Gulf views. Enjoy fabulous views of Cerulean Park, plus the ultra-convenience of Town Center from this third floor multi-family residence with accommodations for four. 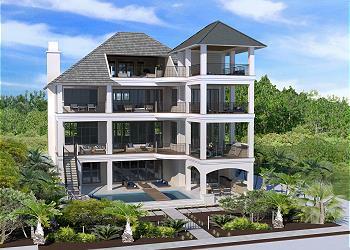 Cool, contemporary beach living is what you will find when you visit this beachside townhome. 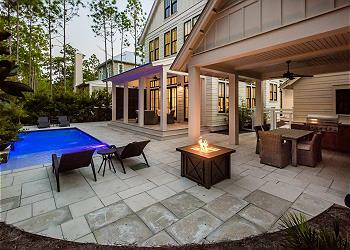 192 Royal Fern is a fabulous 5 bedroom, 4.5 bathroom home located in WaterColor. This luxury abode features a private pool, three master suites and accommodations for twelve guests. This charming 2-story cottage is a real treat that is located just minutes from the boathouse, pool, and sugar white sand beaches. 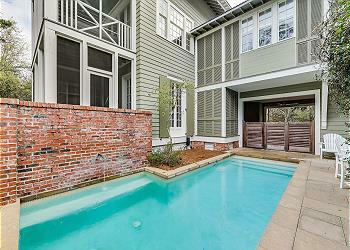 1340 Western Lake is a fantastic home located in the Camp District of Watercolor. It has been newly renovated and professionally decorated and is surrounded by lush greenery, for your perfect vacation retreat. This stunning Gulf front third-floor condominium is sure to please with its calming natural colors, open floor plan, and large balcony. 64 Vermilion Way is a spectacular home with fantastic outdoor space that includes a pool with a covered cabana area featuring a television and fireplace, making this an unforgettable vacation location! 54 Inkberry Street is located on a beautiful lot with wonderful outdoor space that is nestled in greenery with long needle pines as the back drop, making this a peaceful vacation location! Whimsical luxury defines this picture perfect cottage with accommodations for 10 perched directly on Crimson Park. This is 3 bedroom 4 bathroom home located in the Crescent Keel district of WaterSound gives a warm, cozy cottage feel while at the beach. 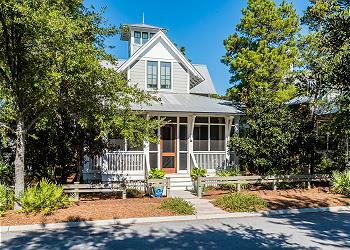 10 Lyonia Lane is a fabulous family home for any WaterColor vacation! Enjoy relaxing on the screened in porches and taking in the salty air. Check availability and book today. Classic cottage style abounds in this charming residence with accommodations for 12 in the Camp District. This second floor unit at Compass Point I is picture perfect with the beautiful round living room and gorgeous view of the beach dunes. Tucked away in the Forest District of WaterColor, 66 Tall Timber Court is located on a quiet street backed up to the woods providing enjoyable privacy. Check availability and book your next stay online today! Spend a little R&R at "My Happy Place" a beautifully decorated 4 bedroom plus bunkroom home located in the Lake District! Awesome 2,981 Sq Ft Blue Mountain Beach rental with a private pool. 3 story house only 3 minute walk to the beach. Close to some great restaurants and bike rental shop! Check availability and book online, or call today! Relax and enjoy your next beach getaway when you stay at 44 White Sands Unit B. This serene 4 bedroom home boasts dazzling Gulf views and a short walk to the Emerald waters of the Gulf of Mexico. 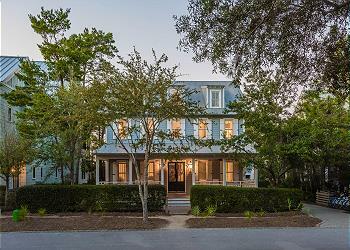 29 Dandelion Drive is a three story, bedroom, 4.5 bathroom home located in the exclusive Cottage District of WaterColor. This home can accommodate up to 15 guests making it the perfect spot for large or multiple families!